We all go through handlebar grips right? But for $2.99 are you kidding me? No we're not. You can stock up on a couple years worth for grips for under $10! 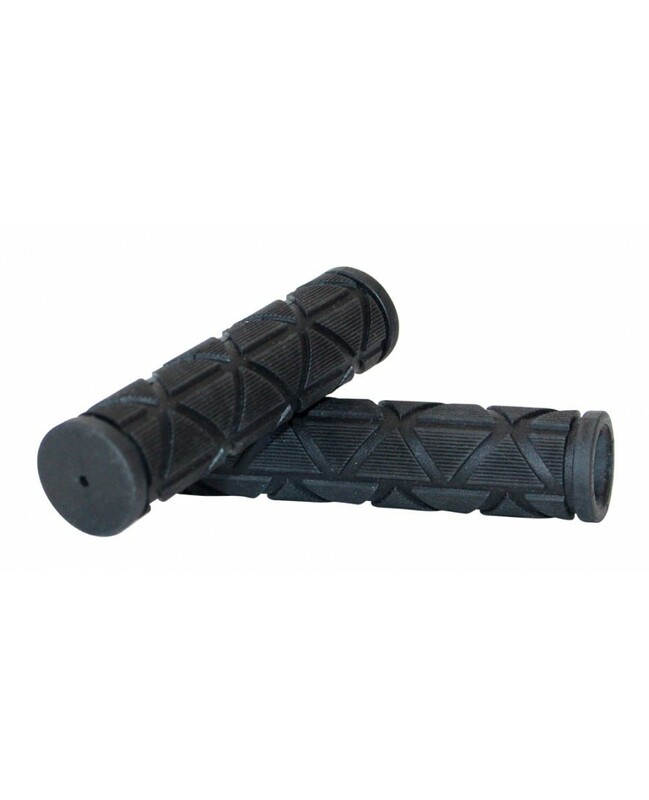 You are looking at a special buy of Bike Street mountain bike handlebar grips we got. And they are great! Made out of a high quality rubber compound that is lightweight, cushiony and super-durable. Plus the are come with a great textured pattern for even more grip while riding. Grips measure 5 inches wide so they are perfect for any bars. But I'm not sure I can install them myself. Are you kidding it doesn't require any tools. Simply apply some spit inside the handlebar grips and slide them onto the bar. Or if you think thats gross you can use water instead. These were are great buy for mountain bike handlebar grips and we're passing the savings on to you! Don't pay $20 or more for some grips that will last the same amount of time. We at eCyclingstore only buy products that stand up to our demands and stand by everything we sell 100% or your money back.